Billions of sets of eyes are about to be trained on Brazil for the next month, whether it is through televisions sets, in stadium seats — or now more than ever, through smartphone screens. The World Cup is a global extravaganza of national pride and soccer passion — a bi-annual sporting ritual that captivates the world’s attention. An estimated 3.6 billion people are expected to watch the 64 matches, and hundreds of millions of those fans will converse about the World Cup on social media. Twitter registers 350,000 tweets per day about the event, and an estimated 500 million Facebook users are soccer fans. Unlike athletic events like football or basketball, soccer has limited commercial airtime and long periods of uninterrupted play, making it a prime sporting event for social media interaction. 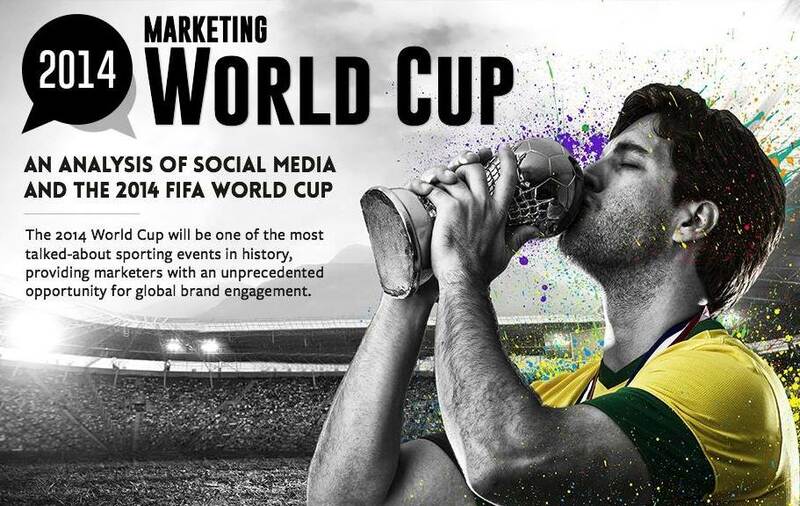 Teams, players and sponsors are jumping into social media to connect with billions of World Cup viewers in ways other than television ad spots. Adidas is spending over half of its total media budget on Internet promotions with the #Allin campaign, and Mexico and Brazil are running neck-and-neck as the two national teams with the most Twitter followers. This year expect the social media universe to light up every time Brazil scores, or top Twitter influencer Lionel Messi shoots. Here, in an infographic from digital marketing software company Offerpop, with help from Crimson Hexagon, is a run-down of the social media footprint of the World Cup.